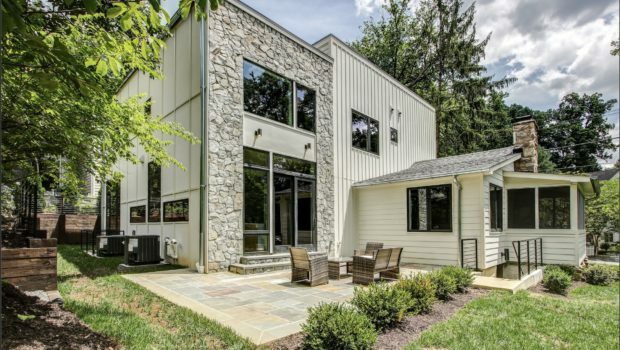 5300 Tuscarawas is a beautiful, contemporary redesign of a charming old Glen Echo Heights summer cottage. The house was designed by Doug Soe Lin and boasts five bedrooms, five full baths and one half bath. The unique second floor plan contains four bedrooms, each with its own private bath, as well as a laundry room. Stunning hardwood floors throughout with modern appliances and amenities.